Original content is clearly king on the web, especially with the appeal it has for visitors to a website through the quality it serves. Web developers, graphic designers and others who put their media on the web face the harsh reality of people stealing their content. Not only does this violate the intellectual rights of the owner, but it also hurts your SEO ranking. If the stolen content ranks higher than the original one, visitors go to another website instead of yours! In order to set things straight, you should learn how to locate any instances of stolen content and remedy the situation, because you can face a lot of problems if you don’t address the issue soon enough. The recent Google update has thrown the web community into disarray with its Panda/Farmer update. The new algorithm aimed to re-evaluate the quality of websites, and as a result, 12% of results changed. According to many SEO-mindful webmasters, the main problem with the Panda update is that the algorithm confuses legitimate websites with the original content for those that blatantly stole it. For anyone that spends plenty of time and money on developing original and high-quality content, this is a blow to the SEO framework and contradicts everything about it. The rule of thumb for so long is that you’re supposed to experience better organic rankings in the search engines due to original content. As of lately, however, thieves stealing your content can cause you to face lower SEO ranking, and this is not good for your business at all. 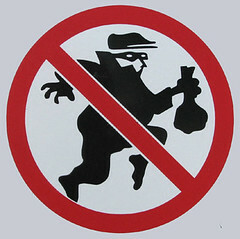 What you should do in order to protect your website from this development is to engage in proper anti-theft practices. Where Is Your Stolen Content? CopyScape – This specialized search tool is any web developer’s best friend against plagiarism. There are two versions of the tool. The free one allows you to input a link and a search will take place. For the paid version, you can input text and have it checked for plagiarism as well. This tool will locate websites where your content is located, so you can take the measures you desire in reporting those websites. Google Alerts – Originally created for people who want to track interesting topics, you can use this tool also to search for stolen content. The input is limited at 2048 characters; however, this won’t be much of an issue because an excerpt of your content will surely jump start the search. Digimarc – This watermarking service can protect your graphics or photos, but an interesting feature present is a tracking service they have. You can search for images used other than on your website to find out who stole your image content. Once you find out who stole your content, you can now get ready to bring justice for the content you worked so hard to create. Google spiders constantly index websites as they crawl around, so you can take initiative measures and get your content indexed in search engines before anyone else does, especially if you’ve had previous experience of stolen content and know to take the SEO advantage. Matt Cutts, of the Search Quality group in Google, suggests ways of protecting your content. Twitter posts tend to be followed faster, so if you tweet about your article or content, you can get indexed sooner. pubsubhubbub, or a pinging service, gets your content on the web by sending the word out about your new content. Digital Millennium Copyright Act (DMCA) notices are important in handling disputes, especially when you take the issue into a legal sense, which allows you to protect your content very effectively. One of the best methods of reporting stolen content, protecting your copyright in the process, is through the Digital Millennium Copyright Act or the DMCA. What this does is provide legal coverage of your content, which will provide you the necessary means of claiming it as yours. The DMCA focuses on anti-piracy measures of blocking stolen content. Since you are the author of your content (if you have an official copyright for your content), you hold legal ownership of it, and by law any violators who challenge your ownership should receive due sanction. The DMCA centers on you, the original owner, creating a notice to the person who stole your content to take the content down. The legal formality strengthens the impact of the dispute, which can end in two ways: they can counter-dispute it or simply take the content down. The DMCA notice can be quite tricky to fill in, especially if you’re not familiar with legal terms. The right course of action here is to hire an attorney to help you out. This will allow you to smoothly go through the process. Alternatively, you can check out Google’s DMCA page and work from there to file a complaint. The requirement for the DMCA is to designate a U.S. Copyright Office agent that certifies your ownership of the content. The Copyright Office contains a comprehensive list of agents you can use. This will give you the formal grounds you need in establishing the complaint, which helps you address the individual of your concerns on the stolen content issue. Reporting your stolen content is the first and most important step you should take once you’ve verified who stole your content. This measure will allow you to maintain your rights to your content, especially for the SEO ranking you’ve worked so hard for. Content originality should not be taken lightly, as pieces of text or graphics to be used at any given point of time by anyone, especially when SEO or finances are involved. Original content is what reigns in the huge hub of information on the Internet. With the effects the recent Google Update in place, you should check out your SEO ranking now to see if Google indexed the wrong website. In doing so, web developers and graphics designers can protect the content they worked hard for. Know your legal rights, as your content isn’t just words or pictures strung together – it is quality that breathes. Guest author Brian Flores is a copywriter for InMotion Hosting, one of the top dedicated server providers in the country. He works with a team of awesome writers to post useful tutorials on WebHostingHelpGuy. You can follow him on Twitter @WHHG_InMotion or @BrianAFlores. Image by Johnny Grim under CC.